Couple of weeks ago, we went to Tuscany, Italy. 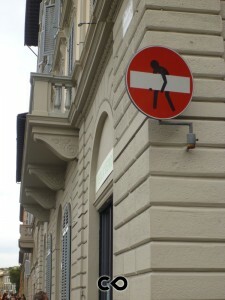 First in Pisa, where graffiti is mass-represented. It’s a sign of contestation and anarchism most part of the time. 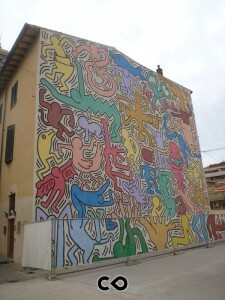 There are some stencils and painting too as you can see below with this huge mural painting by Keith Haring. 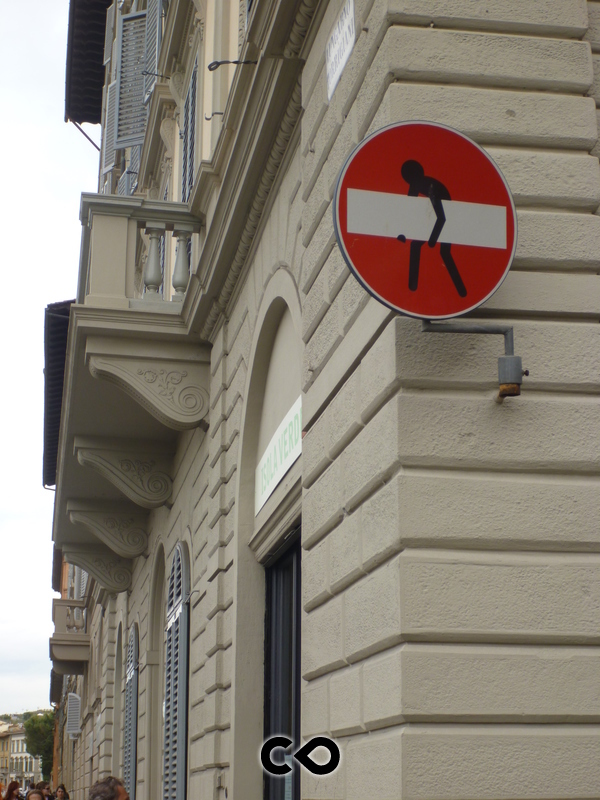 Next, we went to Florence, the city of Clet, the well known sticker street-artist who divert traffic signs. We had the great surprise to meet him in his workshop. It was very intersting and he was really open-minded to talk about his work (not only about street-art). We added the pictures of this journey in our street art map, so travel as you want in Tuscany, trought the world of street art!